"Today, I am very, very happy to share that Bhadra is FAMILY." In a disturbing video that made waves on social media back in July, a man held a 5-month-old dog by the scruff of her neck. He smiled at a camera - his accomplice recording the entire affair - and then threw her right off a very high roof. The dog cried out loud when she hit the ground. 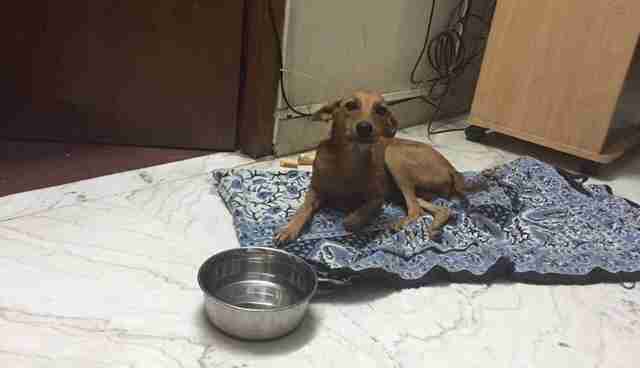 Then, two weeks later, she was found alive, barely able to walk, in Chennai, India. 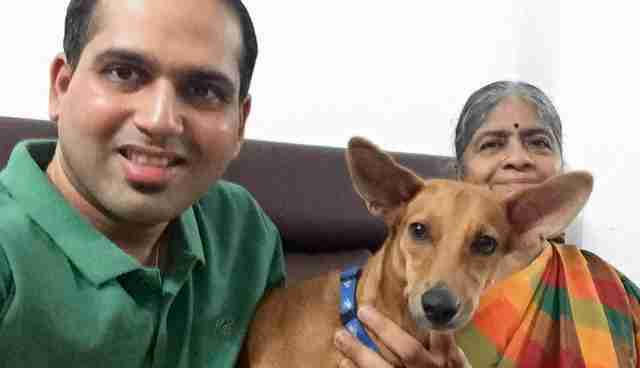 She was terrified and shivering once she made it into the safe arms of her rescuers, but even so, the puppy, who was later named Bhadra, wagged her tail. Bhadra was taken to Madras Veterinary College to recover from her injuries - not only was she in a state of shock, but she also suffered from fractures on her right hind leg and spine. Veterinarians said it would take up to two months for the puppy to fully recover - but they were hopeful. 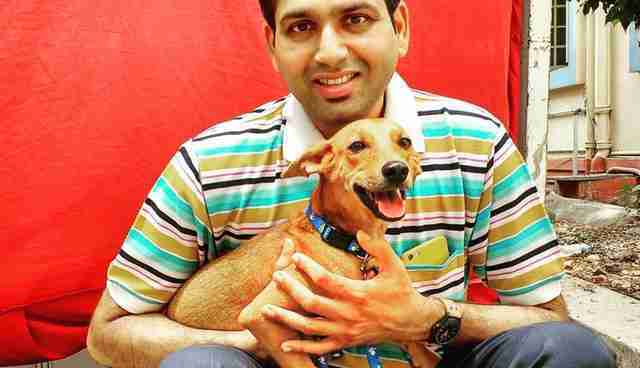 After Bhadra's story went viral, offers to adopt her came in from all over the world. She also became something of a local celebrity, with people visiting the home of one of the animal welfare advocates involved in her rescue, Shravan Krishnan, in the hopes of taking a photo with her. But Bhadra wasn't flown to the U.S. or anywhere else. Instead, she spent the rest of her recovery in a foster home in Ramapuram, a suburb in Chennai. 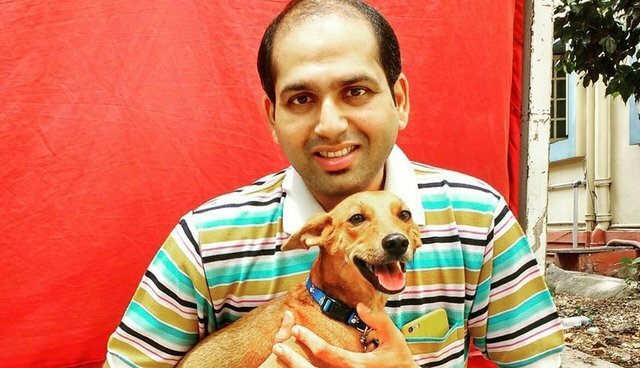 Her caretaker, Karthik Dhandapani, had never owned a pet until he volunteered to take in Bhadra - because his mother, who lives with him, had never approved of them. But on Wednesday, Bhadra's rescuers announced that Dhandapani decided to keep Bhadra, who is now 7 months old, forever. "Bhadra loves my mother's chapatis just as much as she loves chasing crows," Dhandapani told The New Indian Express. Bhadra also likes to play outside on Dhandapani's terrace several times a day. "It has been a desire of six years ... coming from a family that has no connection to animals, being inspired to do something for them, turned an animal lover, spending time with them outside and not able to have one at home," Dhandapani wrote on Facebook. "But today, I am very, very happy to share that Bhadra is FAMILY ... She came home as a foster after she was found thrown off by the two medical students, and since then started ruling our hearts like she did the world." 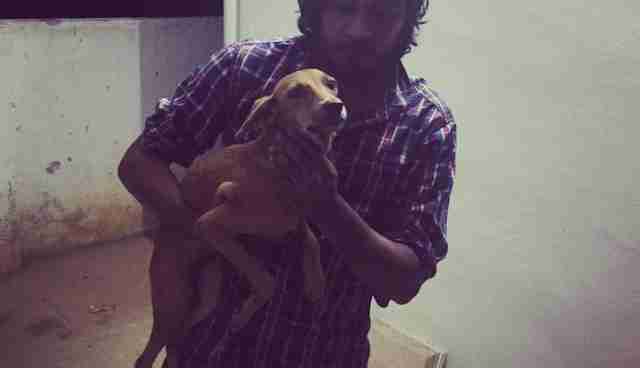 The two men responsible for Bhadra's fall - both college students - have three three counts of animal abuse pending in court, and have already paid a penalty fine to the Animal Welfare Board of India. India has the highest number of stray dogs roaming the streets in the world. Click here to learn more and see how you can take action to help them.